Enjoy a brand new way to operate your UNITRACK layout – your phone or tablet! Using the Kato Smart Controller, take control of your trains with hands-free throttle operation using your smart device’s Bluetooth connection. 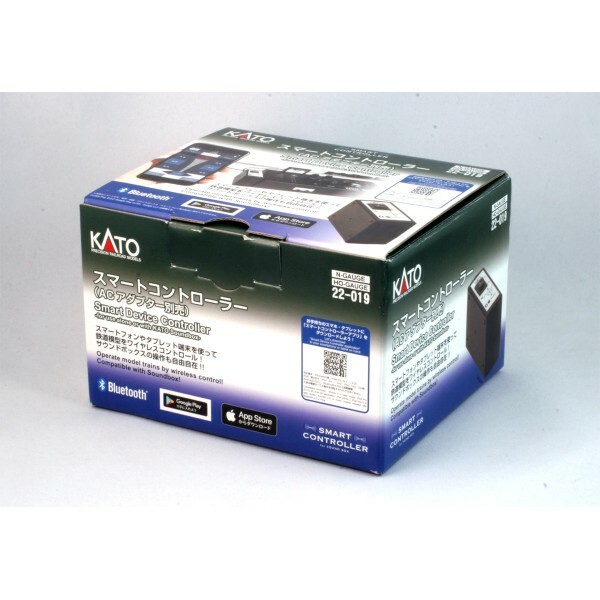 Better still – when paired with the Kato Sound Box, the Smart Controller gives you control over all of the Sound Box’s functions – from the sound controls themselves down to the sync and volume adjustments. Everything the sound box can do – you can too, from the palm of your hand!